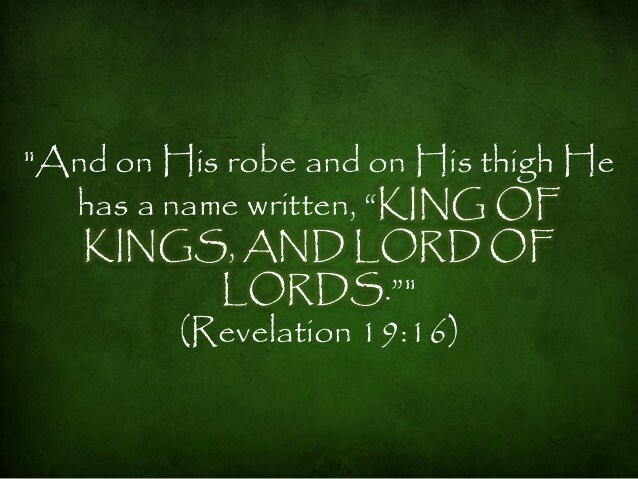 "On his robe and on his thigh he has this name written, “KING OF KINGS AND LORD OF LORDS” (Revelation 19:16). Some years ago, a theological seminary in the United States scheduled an academic convocation and invited a famous theologian to come in and give an address on Christology. It is important to understand that a convocation is not a pep rally or an informal meeting, but rather a very serious gathering where a renowned scholar will share his latest insights. When this scholar arrived, all the students flocked to the auditorium to hear the lecture, and the faculty was there also, decked out in full academic regalia. All were ready to hear a technical dissertation on some aspect of the doctrine of Christ. The great scholar, however, shocked his entire audience. He began by saying, “This is what I want you to hear today about Jesus.” But instead of delivering a theological lecture, all he did for 45 minutes was stand there and recite one after another all the titles that are found in the Bible for Jesus. “Jesus is the Christ. He is the Lord. He is the Son of David. He is the Son of God. He is the Lion of Judah. He is the Lamb of God. He is our Righteousness. He is the Prince of Peace. He is the Suffering Servant. He is the Savior. He is the Lily of the Valley. He is the Rose of Sharon. 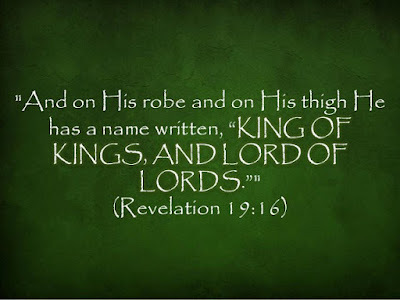 He is our Great High Priest. He is the Mercy Seat.…” This went on for 45 minutes. When he was done, the entire theological community was overwhelmed. What an experience, to hear all the titles of Jesus compressed into one long litany of majesty! Jesus is the incomparable Christ, and there is no limit to the wealth of glorious titles that can and must be given Him for all eternity. The Bible is filled with names for Jesus. How many do you know? When you read and study the Bible, do you look for Jesus, or do you find yourself just acquiring interesting information? As you read through the Bible this year, or as you read the passages assigned with each lesson in this Bible study guide, ask yourself, “What name of Jesus do I see in this passage?” Compile your own list, including the biblical reference of its location. While you will never exhaust Christ’s character and personality, you will be able to explore new dimensions of His person and work. As with the psalmist, it can lead to more artful, heartfelt praise.